Thinking of something different to do with on your family game night? Why not try escape games, they are an addictive craze offering an unique experience, ways of thinking and a great and fun way to spend some time with your family. 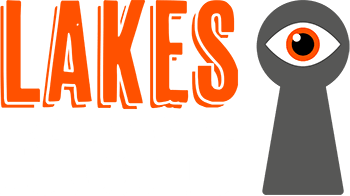 We here at Lakes Escapes Ltd will certainly have the excellent and realistic room atmosphere and environment to really put you in the shoes of someone trying to solve puzzles on the clock in order to achieve the great escape from your room! The exhilaration that you will feel as you attempt to solve every puzzle that you come across and beat the clock to managing the great escape for your group is certainly real! Regardless of whether you make it out or not, participating in an Escape Room will have you thinking about the experience for weeks to come. You may even start to notice yourself seeing the world in a different way, finding clues in things you never thought to notice before. Your family also has the chance to interact and work towards a common goal in a way that helps define our strengths, weaknesses and familial roles as a group. The end effect is bringing everyone together, adding trust and enhancing non-verbal communication. So, give that board game a rest this week and book your adventure now!